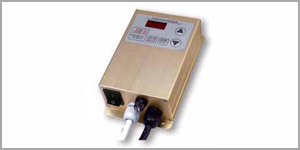 Automatic Voltage Regulation: Eliminate feed speed variation caused by mains voltage fluctuation. Soft Startup: In order to avoid sudden shock to the feed material and vibratory feeder, the controller can gently increase output voltage from 0 to the preset value when startup. Preset Speeds: 4 preset feed speeds can be stored and output by external short-circuit signal. Remote ON/OFF Control: The controller has 2 groups of ON/OFF control pins. Switch sensor or PLC can be connected to them to turn on/off the controller. 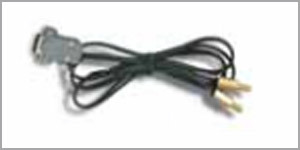 Remote Speed Control: Output Voltage of the controller can be adjusted remotely by an external potentiometer, a PLC, or a 1-5V DC signal. DC Control Output: The controller can output low voltage DC power associated with logical relation setting of the ON/OFF Control to drive a solenoid, an electrical relay or other external devices. Overheat Protection: If internal temperature of the controller gets too high, the controller will stop its output to protect itself. Overcurrent Protection: If output current exceeds its rated value by mis-operation, the controller will stop its output to protect the controller and vibratory feeder. Short-Circuit Protection: If output of the controller is short-circuited, the fuse inside the controller will be blown to protect the controller and vibratory feeder from further damage.